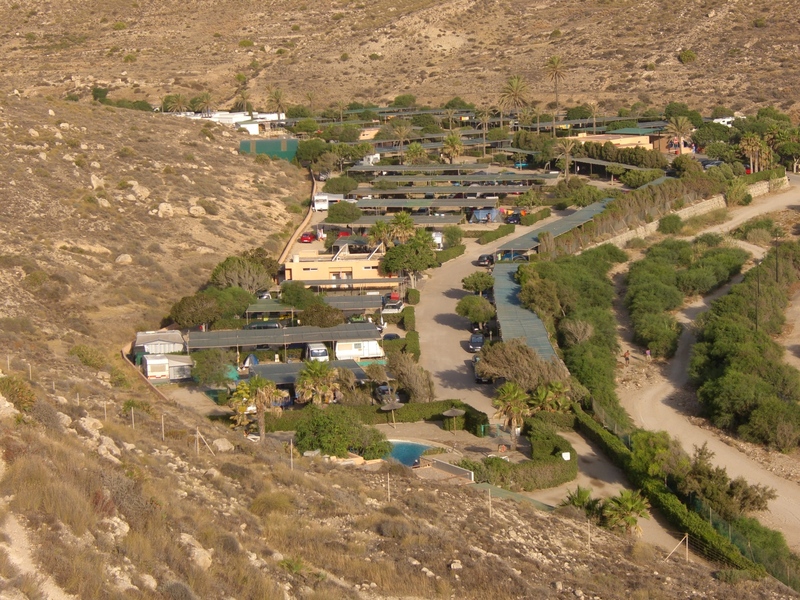 camping | La Rosilla - Lifestyle and food. Have tent will travel ! In need of a rest, a break, some time out…I was looking forward to a holiday, all be it just for 3 nights, but camping..I thought I could do without. So much to pack, I have to have everything including the kitchen sink, and the arduous task of packing up the ‘Bogey’ our big green van, no not named after what you think, but after a golfing score..OH is a Golf Pro 😉 In 36 degrees of heat, was draining me already. But pack we did, up early we got..on our way we went. 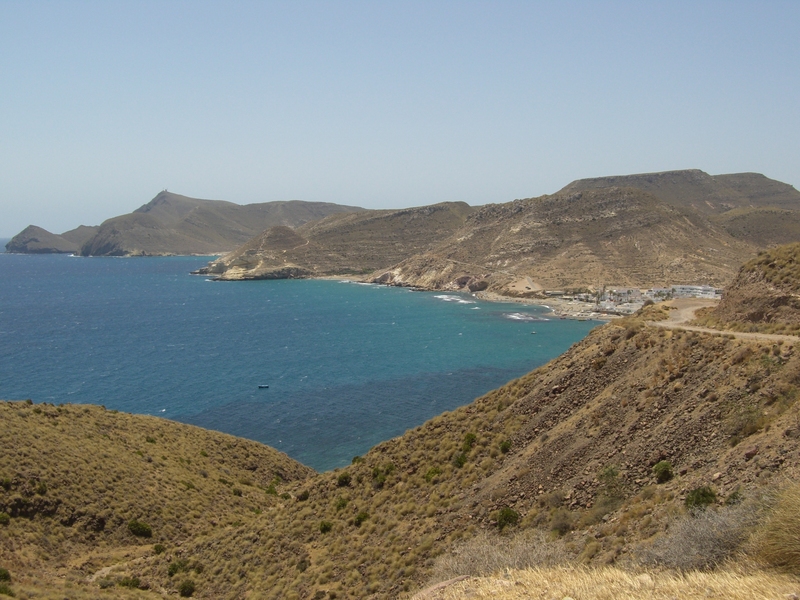 A new part of Andalucia for us to discover – Cabo de Gata, so Almeria was our destination. A journey of a 4 hours, took us through the flat planes of Almeria, and mile after mile of giant greenhouses, was the only landscape to be seen, apparently I’m informed you can see these greenhouses from outer space !! Thinking at this stage. This wasn’t the type of view I had planned, I was getting a little anxious, fortunately all 3 kids were flat out asleep, so the groans of ,I prefer Tarifa, were not heard. 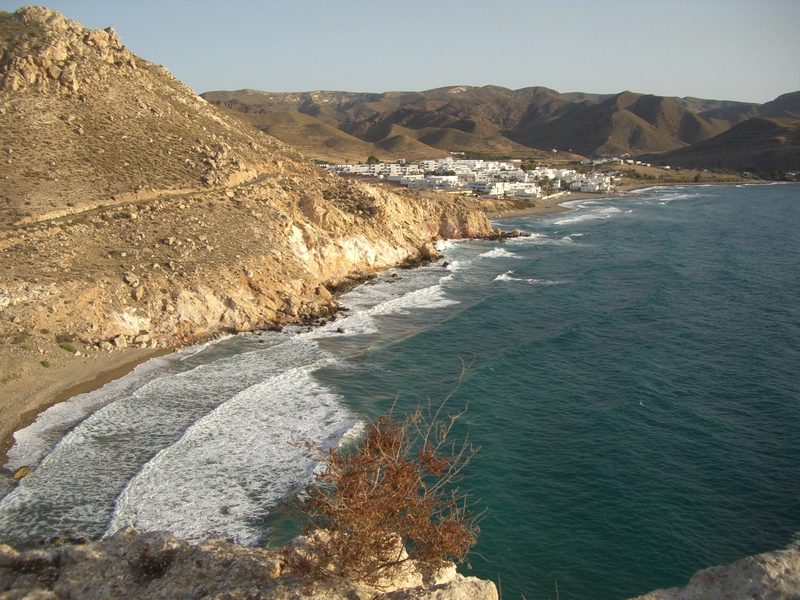 But as we took our exit from the Autopista, into the National Park area of Cabo de Gata, its lunaresque landscape, rocky coves and beautiful beaches put a smile on our faces. We’d chosen the little seaside town of Las Negras, and it’s beach-side Campsite La Caleta, we were not disappointed, location,location, location enough said. 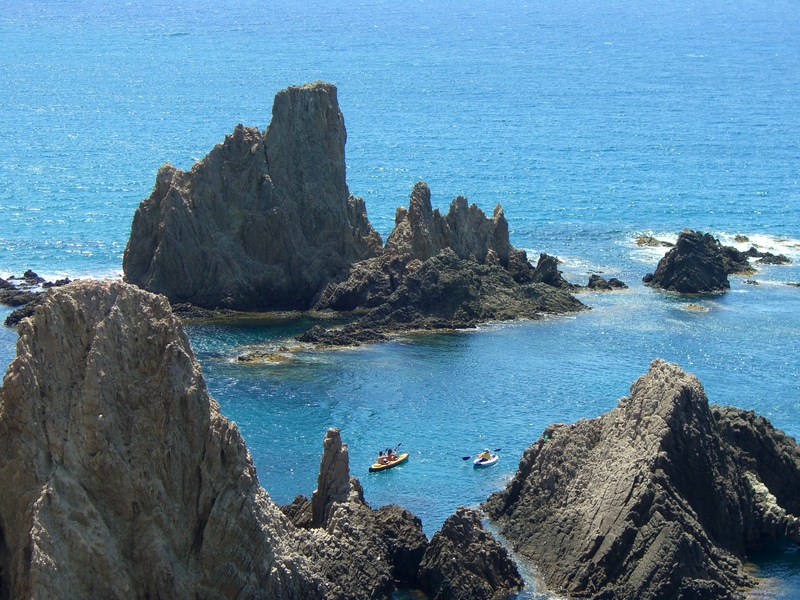 Right on a fabulous rocky and sandy cove, with the clearest , warmest sea, a pool for the non beaching lover of the family (my OH) , and a restaurant with delicious home-cooked menu, for nights after the sun had set. Giant mussels, Rabbit cooked in garlic, Dauphinoise potatoes, and oozing chocolate fondant , my type of camping restaurant which ticked all my ‘Foodie’ boxes. Snorkelling, surfing, reading, early morning mountain hiking, coastal exploring, friends made..all crammed into 3 glorious days. A couple of pointers we need a large plot, with our 3 bed-roomed detached 😉 and we need to make note of where the sun will come up and set…that sun beat down on us, from early in the morning, and we would stumble out of the tent when it rose, like 5 turkeys in a Roasting bag. Also remembering the kitchen sink was all good and well, but a table too would be good, that we had forgotten…in our attempts to leave on time. A long wet journey, wasn’t a positive sign, but as we headed over the hills down into the resort, the skies cleared, and the sun shone all around. Pitch sought, discreetly tucked below large rocks, forming a natural windbreak – The joyful task of tent erecting was upon us…now I don’t know what happens in our family when tents are involved but all of a sudden we have 5 chiefs and no little Indians !! After a few expletives, tantrums, and toys thrown out of prams. 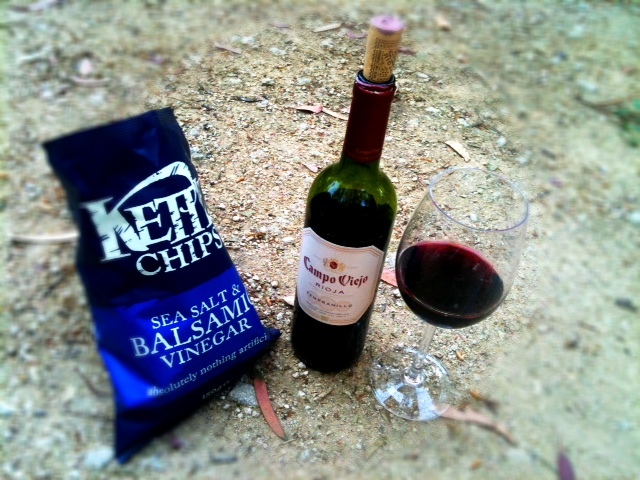 We were up and ready…now time for refreshment. A few days break, is sometimes all you need to recharge your batteries, early nights and lazy mornings, good food, and lots of fresh air. Kite flying, sand angel making, rockpooling, reading, leisurely morning coffees and cakes…and of course shoe shopping, well you can never have too many shoes. 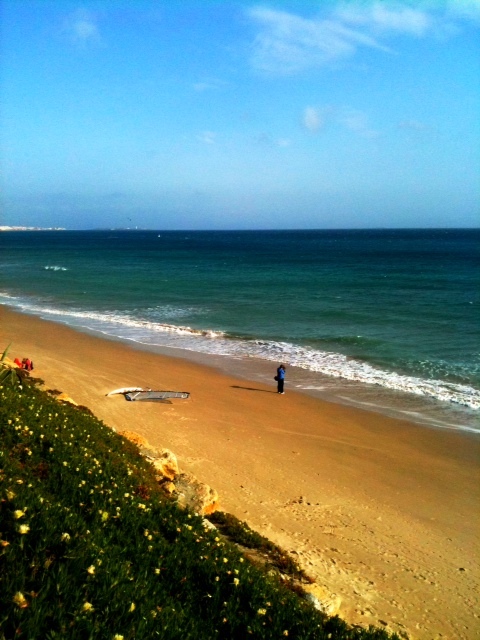 So coolaphonic Tarfia until next time keep hangin ‘ “Mum did you have to put that” !!! !